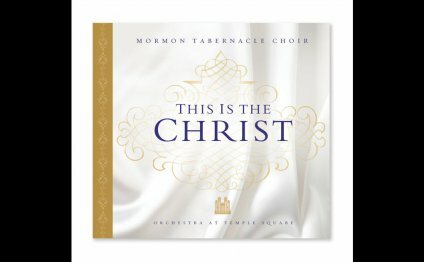 America's best-known and longest-running choral group, the Mormon Tabernacle Choir has recorded some 200 albums, five of which have gone gold (two have actually gone platinum) since the choir gave its debut performance in 1847, and This Is the Christ, the newest album, marks the 39th project to come out on the choir's independently owned recording label. The choir, directed by Mack Wilberg and featuring the Orchestra at Temple Square, turns in full and stirring new recordings of "The Lord My Pasture Will Prepare, " "Dear to the Heart of the Shepherd, " and "Nearer, Dear Savior, to Thee, " and retackles previously recorded favorites "O, Divine Redeemer, " "God So Loved the World, " "Come Unto Him, " and "I Believe in Christ, " among others, and with the orchestra backing, delivers a powerful spiritual sound. Truly heavenly, inspirational music about the Savior! Yet another Spiritually edifying album to heal the soul and inspire faith in the Master! Yet again the Mo Tab blows the minds of all music ministers the universe over with its delicate and inventive arrangements and perfect performance by the robust choir. A must have for Choir collectors.